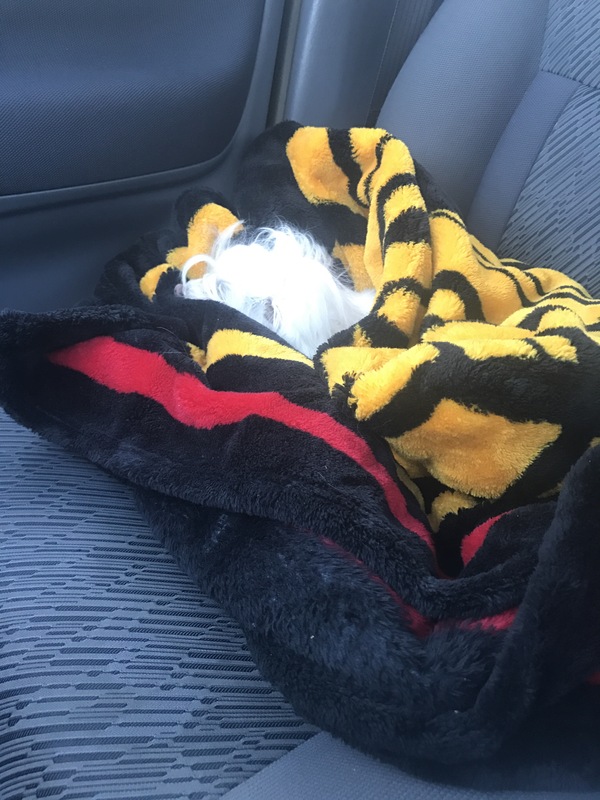 Today was the scariest day of my life…to make a long story short, my little pup Belle didn’t eat and so i took her to the vet because not only did she not eat but she was acting really strange so i did what i had to do. Our vet took some blood samples to check for two breed related diseases thankfully neither of them are life threatening. I did find out however that she is allergic to chicken…and the food i give my pups (Eukanuba) uses chicken by-product. So after talking to my vet they suggested that i make home made food for her, which brings me to the topic Meal Prep: Puppy Food. 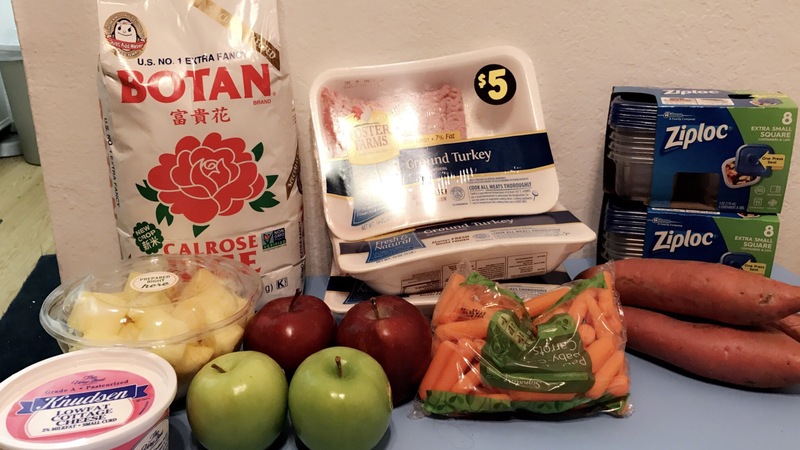 Since it was short notice i asked them about a couple of different foods and ran to the store to pick up some ingredients to prep a meal for two meals a day for 8 days for two pups. All this food filled all 16 (4oz) containers with turkey, white rice, carrots and sweet potato . I have put 4 containers in the fridge and 12 of them in the freezer. 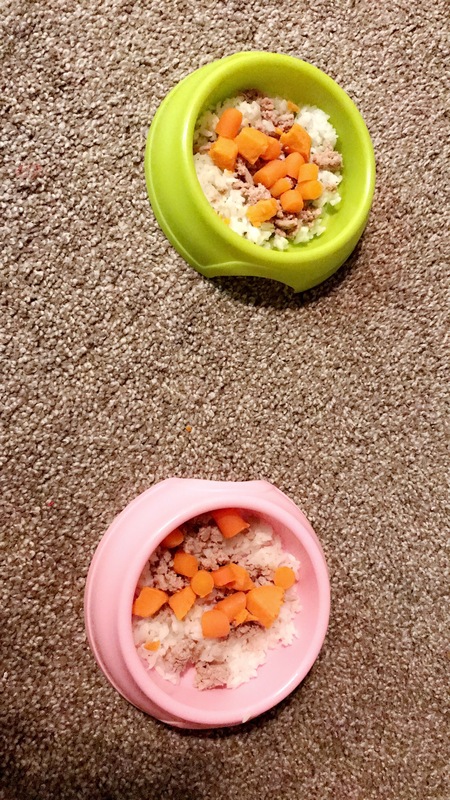 Prepping them means splitting it into two portions for the pups and warming it up and adding a little bit of cottage cheese and bayum! my first ever home cooked puppy mean. Do you prep your pups food? Let me know in the comments below! I am trying to figure out a great name for this first meal so if you have any suggestions please feel free to leave those in the comments below!